Osmosis happens when a solvent, like distilled water, diffuses across a membrane into a solution that has a higher concentration of some solute, like salt water. Eggs are a model system for demonstrating osmosis because the thin membrane that lies underneath the shell is permeable to water, providing a system that changes volume as water passes in or out of the egg's interior. 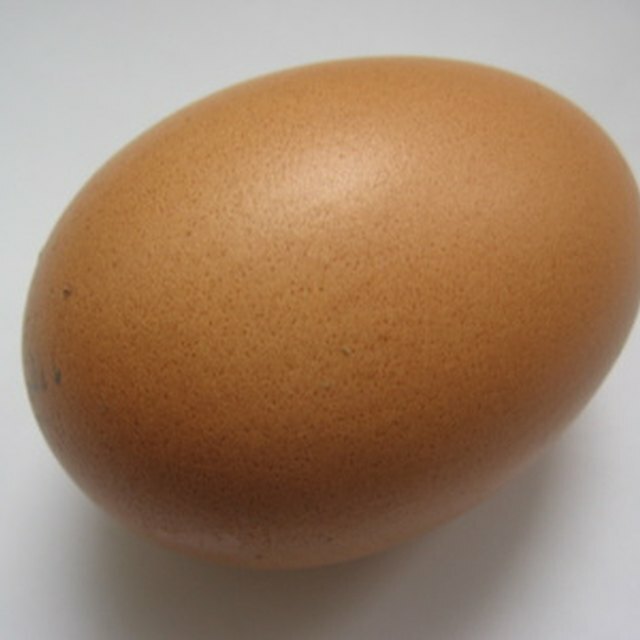 Inside the egg membrane is a concentrated solution of proteins and water. 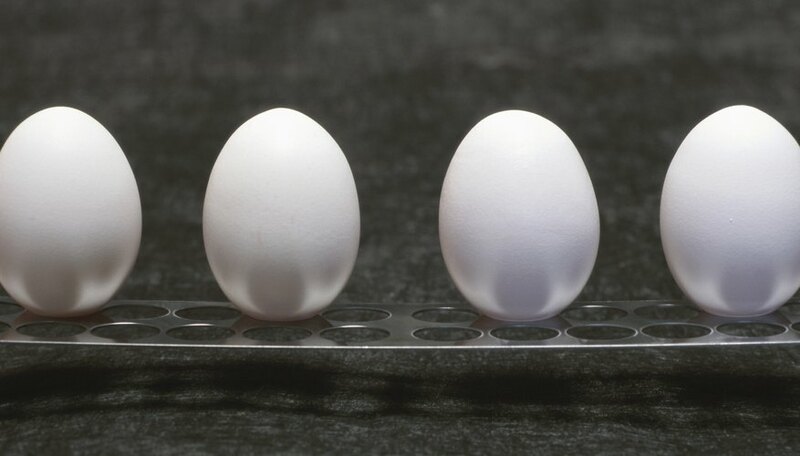 When the egg is soaked in distilled water, osmosis causes water to diffuse into the egg to equalize the concentration of water on both sides of the membrane, and the egg increases in volume. If that same egg is then soaked in concentrated salt water, osmosis causes the water to diffuse back out of the egg, and the egg decreases in volume. The goal of the experiment is to demonstrate the process of osmosis by measuring the change in volume of the egg and then relate this to how water moves in and out of living cells. If only one experiment is performed on each individual egg, you will need to plan on three days for the experiment. Two days may be required to dissolve the egg shell with vinegar so that only the rubbery membrane remains. One day is required to complete each osmosis experiment on a single egg. Demonstrating osmosis in both directions, diffusion of water into the egg and then out of the egg, will require an additional 24 hours, for a total of four days. In addition to the eggs and vinegar to dissolve the shell, you will need plastic cups or glassware to store the eggs while soaking, salt to make a concentrated salt solution, and some way to measure the change in volume of the egg, such as rulers to measure the egg's dimensions, balances to measure the change in mass, or graduated glassware to measure displaced volume. Keep a stock of cleaning supplies nearby to deal with broken eggs. Simple variations can be made to the experiment to make it more interesting. Food coloring can be added to the distilled water to demonstrate with color that water from the cup is moving inside the egg. After the egg swells in size, it can be popped and colored water will come out. Solutions other than salt water can also be used to cause water to diffuse out of the egg, such as oils or syrups that have little to no water content. These will cause a larger decrease in the egg's volume than salt water. Bush, Joshua. "Egg Osmosis Experiments With Distilled Water & Salt Water." Sciencing, https://sciencing.com/egg-osmosis-experiments-distilled-water-salt-water-11910.html. 13 March 2018.